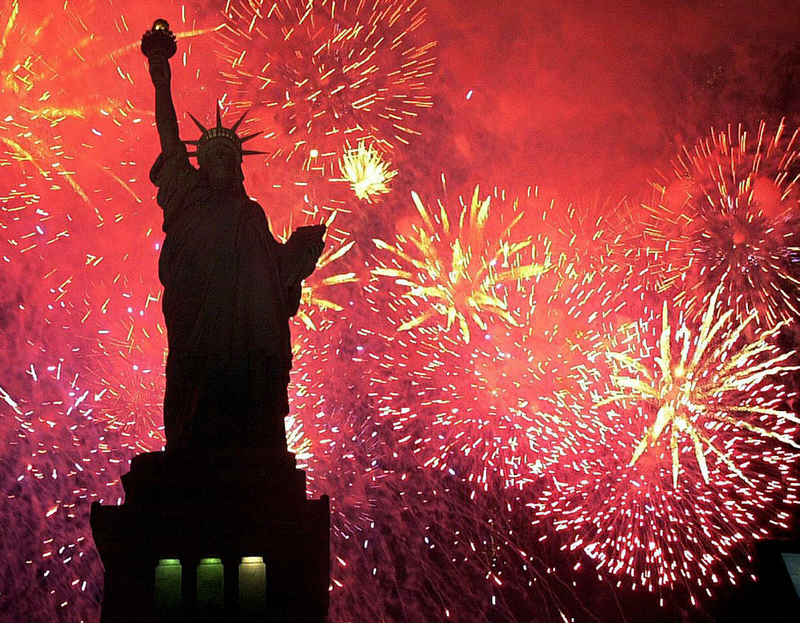 America’s 239th Independence Day will be celebrated on Saturday, July 4, 2015. The winner eats the most hot dogs and buns within 10 minutes to win prize money and the Mustard Belt. Joey Chestnut of San Jose, California, has won the title eight times. He also holds the world record for eating 69 hot dogs. When the Congress were declared traitors by royal decree they responded by issuing the Declaration of Independence. The Declaration of Independence Preamble: John Adams wrote the customary preamble, which stated that King George III had rejected reconciliation and was hiring foreign mercenaries to use against the American colonies. Thomas Jefferson, one of the founding fathers of America, died exactly 50 years after the signing of the Declaration – on 4 July, 1826. In a strange coincidence, John Adams, another founding father too died on the same day as Jefferson. The Fourth of July is the most popular holiday for grilling and barbecuing, while Memorial Day is the second most popular holiday in the US. Americans consume around 155 million hot dogs on this day alone. According to the American Pyrotechnics Association’s estimation, more than 14,000 firework displays illuminate the skies of the country on 4 July. The firework industry earns about 75% of its revenue on this day and spends almost 11 months a year planning the holiday sale. The Declaration of Independence was signed on July 4, 1776, by the congressional representatives of the 13 Colonies of Colonial America. The document stated the reasons the 13 American colonies wanted to be free of Great Britain’s government. The Declaration of Independence states that the authority to govern belongs to the people, rather than to kings, that all people are created equal and have rights to life, liberty and the pursuit of happiness. The American colonies had been at war with Great Britain for over a year when the document was signed.